Professor Higgins lectured in Minami-uonuma. 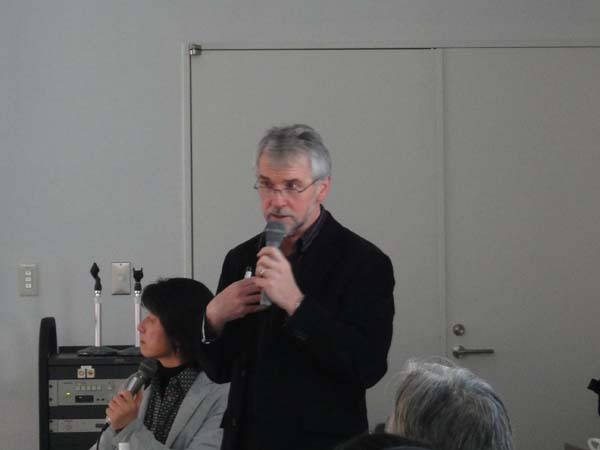 &#12288;On February 6th 2011, ECOPLUS organized educational symposium titled Self reliance of the local community and the power of learning in Minami-uonuma, Niigata with Professor Peter Higgins of Edinburgh University, Scotland. 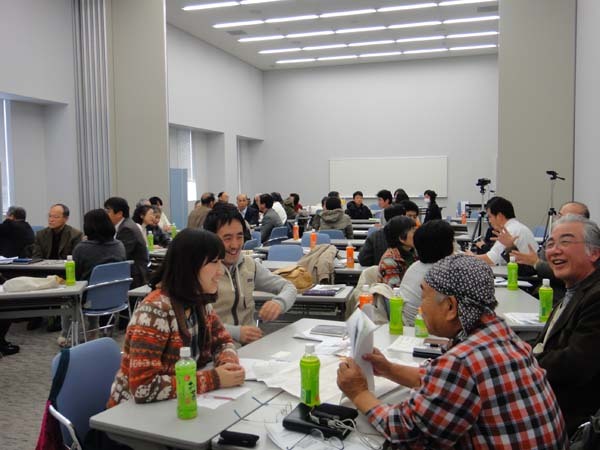 &#12288;The symposium, held on February 6th at the auditorium of Minami-uonuma regional development bureau, attracted 49 participants including educators, city council members, and the residents of Tochikubo and Shimizu Village. Some came over from Tokyo metropolitan area. Participants enjoyed exchanging ideas with others. &#12288;At the first session, ECOPLUS reported the activities of TAPPO and the study result which demonstrated the educational values of rural villages based on questionnaires and interviews of the program participants as well as involved villagers. At the second session, Prof. Higgins appealed the importance of outdoor and experiential education with the practical examples from Great Britain. Then the discussion among the participants followed. &#12288;As the study result, Dr TAKANO Takako, Executive Director of ECOPLUS, reported that the participants learning was linked to agriculture, living, and history of the village, which were based on the human-nature relationships, and their learning went beyond the life philosophy and values. She pointed out that rural village itself was full of learning elements. &#12288;Prof. Higgins commented that TAPPOs activities are the leading models in educational movement around the world, which connects the local community with school, children with adults, and social education with school education. &#12288;Prof. Higgins lectured about the effects of outdoor and environmental education, and the connection with the local community. He introduced the words by John Dewey, Education is not a preparation for life, it is life itself, and continued to say that, for a growth of oneself, it is necessary to learn for the heart, then for the body, and finally for the brain in that order. He explained that just a thrilled experience doesnt require efforts, and that therefore it hardly involves the sense of responsibility. It is necessary to spend a lot of time to think and strive for oneself. &#12288;He said experience in nature increases concentration, reduces stress, and improves a problematic behavior. He introduced a concept of green, white, blue, and dark space, and emphasized that Minami-uonuma has green space, snowy white environment, beautiful blue sky and darkness at night, which makes Minami-uonuma a perfect place for learning. &#12288;He also pointed out that place-based education should include not only nature but culture of a place, enterprise for self-reliance, and citizenship to take responsibility for something bigger than themselves. &#12288;Then participants were divided into 10 groups, and exchanged ideas. &#12288;A comment by high-school student struck everyones heart. She said I had thought the education in big cities are far ahead of ours in rural area. But as I heard todays discussion, I am convinced that its not true and there are lots of advantages in rural area. Im very proud of this place. There was a round of applause as she finished her words.